The room was extremely clean and comfortable. It was just on the edge of town so peaceful and quiet. Best of all was our host, Petar who went out of his way to make us feel at home (welcoming drinks, water, directions, excursion booking and more.) He even gave us a lift back to the bus in Vis. 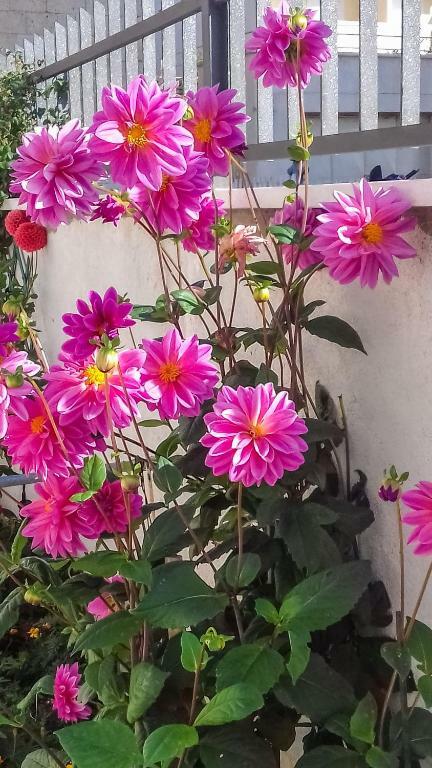 Lovely terrace, cute garden. Could not have wished for better. Try the day trip on the Ames boat around the island of Vis. Fun and informative. Peter and Donka are amazing hosts, looked after us throughout our stay. We'll be back again for sure - i just hope the weather is as good next time! The hosts were so friendly & lovely, they went out of their way to ensure we were comfortable and had everything we needed. If we needed help with appliances they showed us right away & they even dropped in some lovely food on a few occasions. The apartment was spotless & a great location. We would return in a heartbeat, we felt very welcome & safe. Great value for money! The owners of the apartment are SO warm and friendly. Made us feel like part of the family. The location is just perfect, everything (beach, town, etc) is just 5 minutes walking. Bed was very comfortable and we had everything we need in the apartment itself. We will definately come back here! The hosts we're very accommodating and offered water and grappa on arrival. We mentioned that we weren't feeling amazing and they made us some tea as well. They really went to a lot of effort to make sure you enjoyed your stay. Was a good location as everything is so central anyway. We stayed for three nights and loved the place! Our hosts Petar and Donka were so lovely and nice. They welcomed us with a shot and gave us plenty of advices for nice beaches, trips around Vis and restaurants. The apartment itself is very nice and clean and the location is great. We felt like at home and can only recommend it. Lock in a great price for Apartments Kastelani – rated 9.5 by recent guests! 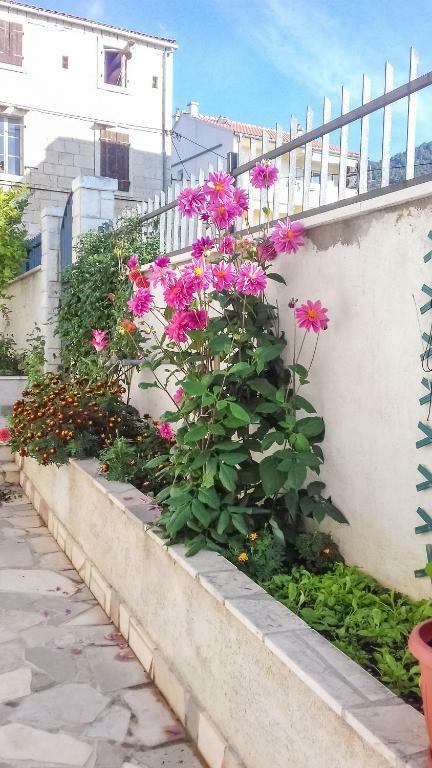 Apartments Kastelani This rating is a reflection of how the property compares to the industry standard when it comes to price, facilities and services available. It's based on a self-evaluation by the property. Use this rating to help choose your stay! 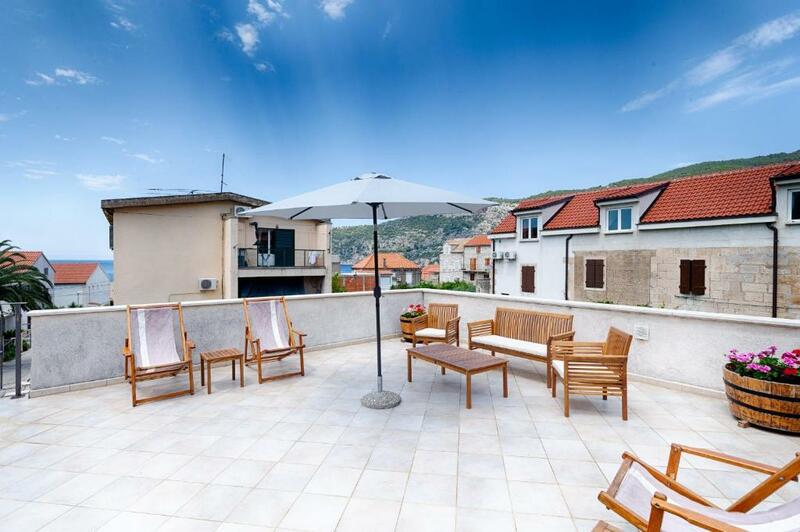 One of our top picks in Komiža.Offering a tranquil space, Apartments Kastelani offers air-conditioned accommodations with a common terrace just 350 feet from the beach and 650 feet from the center of Komiza. Bright apartments with wooden and tiled flooring are furnished with a seating area, kitchen with basic kitchenware and private bathroom with shower. Select apartments come a patio. Diving and tennis facilities are available just 1,300 feet from Apartments Kastelani. Dining and nightlife options are available 500 feet away. It is 5 mi to the ferry port. 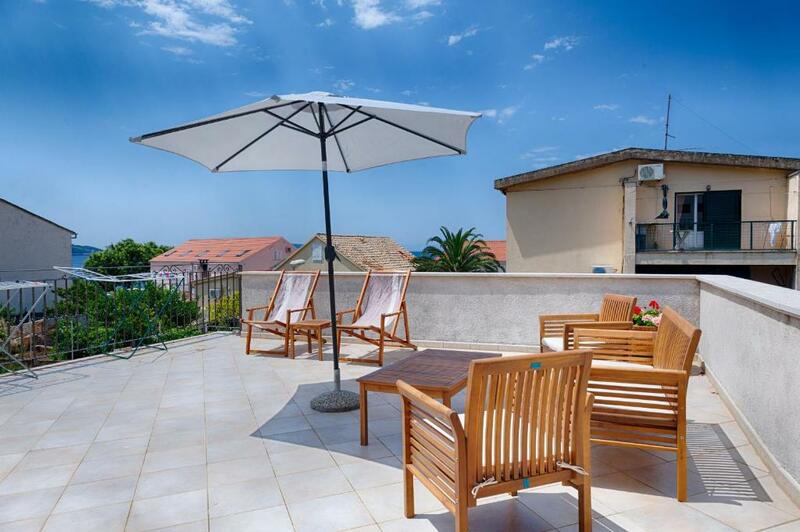 This property is also rated for the best value in Komiža! Guests are getting more for their money when compared to other properties in this city. 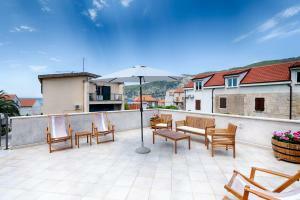 When would you like to stay at Apartments Kastelani? 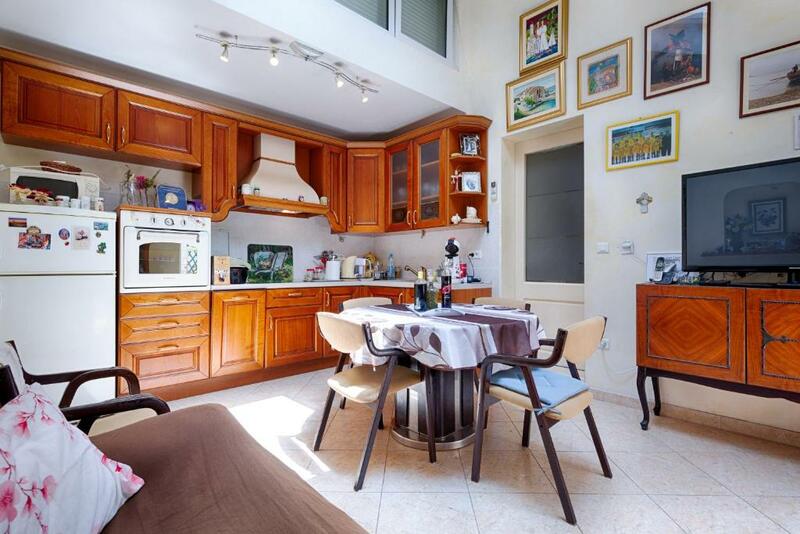 Located on the first floor, this apartment comes with a living room, kitchen and private bathroom with shower. It is air-conditioned and featureas a flat-screen TV. Guests can make use of the shared terrace. 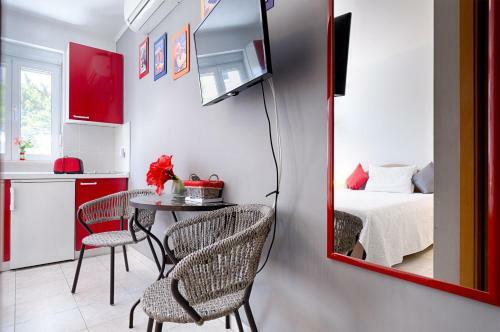 This air-conditioned apartment comes with one bedroom, a kitchen and private bathroom with shower. There is a flat-screen satellite TV. This apartment is set on the ground floor and features a patio. Located on the second floor this apartment features a living room, a kitchen with basic kitchenware and private bathroom with shower. Guests can head out to the common terrace, which offers views of the sea. Ground-floor studio featuring a patio. 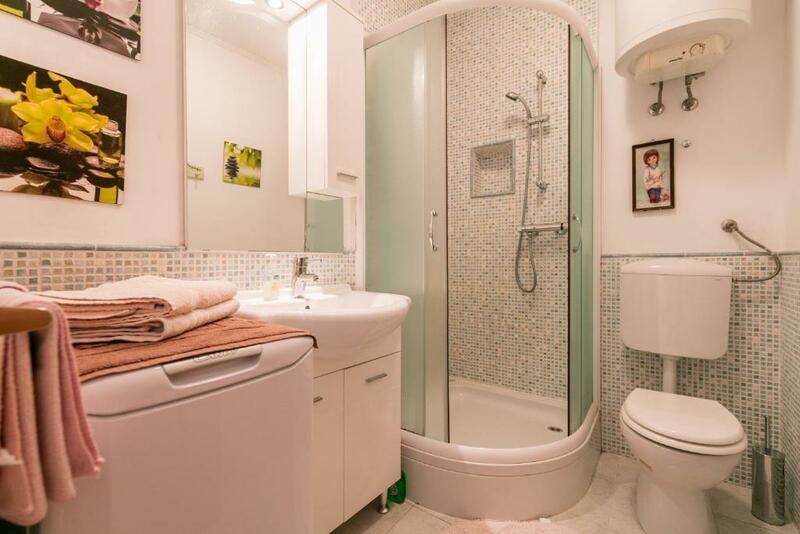 It comes with kitchen facilities and a bathroom with bath and a washing machine. It has a cable TV. 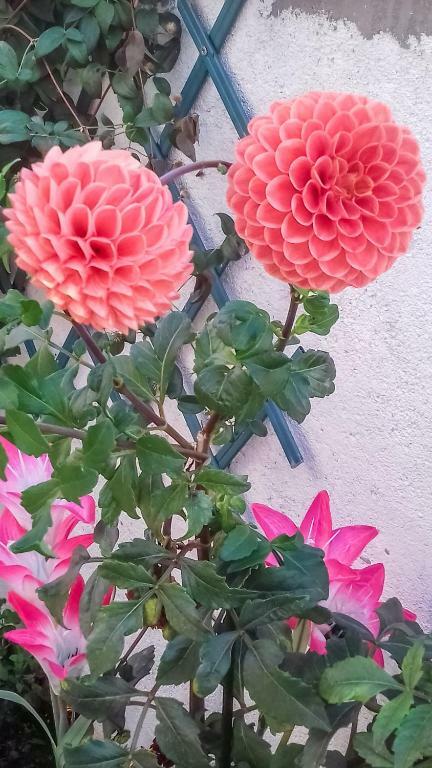 Mirno okruzenje,iako blizu centra mjesta. Na 100 metara od kuce nalazi se bocaliste,poznata plaza Kamenice,ronilacki centar Zanki,diskoteka Aquarius,gradska plaza Lucica,Kamenica. House Rules Apartments Kastelani takes special requests – add in the next step! Please inform Apartments Kastelani of your expected arrival time in advance. You can use the Special Requests box when booking, or contact the property directly using the contact details in your confirmation. We stayed one night in the apartment. Its located just a couple of blocks outside the most busy centre of Komiza maybe 3-5 mins walk. Nearest beach is the same distance. The hosts are kind and helpful. We loved staying in apartment kastelani and would recomend it to others. Was too hot during the night. I couldn’t sleep with ventilation because it was too loud for me and I get easily sick from air conditioner. Very friendly hosts, couldn’t be more helpful! It’s great location for both; wonderful beach 5min walk and city center ca5 min walk. Clean and spacious apartment. Very friendly arrival as we were greeted with drinks. The whole stay was very relaxing and felt very "homey" and familiar. Petar gave us a lot of great recommendations for beaches, restaurants, and things to do. 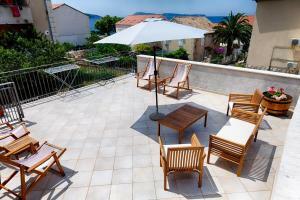 Also its a 5 minute walk to the main center of Komiza and very easily reachable by foot. Lastly, we had an early boat back to split on our last day so Petar was very kind enough to drive us to the port. We really appreciate it. Thanks again and I would recommend staying here to anyone! The apartment we were in was on the ground floor without spectacular terrace or view, kitchen appeared bigger in the photos, but since everything was clean, and since Vis is so beautiful, we didn't mind missing the time spent on a terrace or in the kitchen. Hosts were incredible - they made us feel like at home. Every suggestion was priceless and accurate. They were even so kind to move our laundry from the rain when we weren't in the appartment. Communication with them was incredibly easy. Location of the apartment is perfect (close to the centre - 2 min walk, close to the most beautiful beach in Komiža - 2 min walk, close to the entrence of the town - easily coming to and from Komiža. Very nice hosts and the little village was cozy.